What Is the Stone Soup(s) Project Really About? As a girl scout at heart, I like to make new friends and keep the old ones. So I really enjoyed the AALS ADR Section Works-in-Progress Conference originated by Andrea Schneider and hosted this year at Arizona State under the able leadership of Art Hinshaw with assistance by Gabriel Velez and Roselle Wissler. It was great to reconnect with friends I have known for years and to make some new ones. It was also so cool to hear the creative ideas that people are working on and participate in the process of generously helping each other. My only complaint was that there were so many people with things to share that we had to have parallel tracks, which meant that we couldn’t hear – and get feedback from – everyone. Oh well. I was glad that everyone had enough time to air things out even though we didn’t get to see everyone’s presentation. My presentation was about the Stone Soup Project, and people’s feedback was really helpful. In particular, it was useful to hear how people perceive the project, including by some who are participating in it. I learned that there are some misperceptions, in part due to the title itself as well as changes in the focus. So this post is to clarify what this project really is about. In April, I announced (along with my colleague, Rafael Gely, the co-director of the project) that we were exploring the feasibility of developing a database of accounts of actual cases based on interviews with lawyers or others involved in the cases. Our primary focus was to create a resource for research and teaching. The case reports would be generated through course assignments, which would provide students the valuable incidental benefit of learning from the interviews that they and their classmates would conduct. 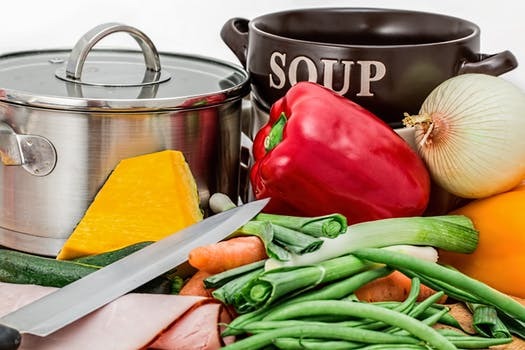 The stone soup metaphor contributed to the idea that there would be a single “pot” in which people would add more-or-less standard ingredients and that the single stew would be available to all. In June, after consulting with our board of advisors, we decided to change the project structure because it would have been too ambitious to develop a single, centralized database from the get-go. Instead, we decided to promote a decentralized set of efforts to produce knowledge about actual practice. Faculty would conduct a wider variety of activities, which would usually focus more on teaching than the production and general dissemination of knowledge. Many people still think of the Stone Soup Project as we originally conceived it. In particular, some folks think that we are developing the centralized database, primarily for research. The database idea really captured the imagination of many folks, some of whom were disappointed to learn that we would not be developing it. Depending on how things work out and what colleagues want to do, we might create a database at some point. Some of the misconceptions may have resulted from the fact that we produced a lot of material over the summer, when people were busy with their work and/or vacations, and they may not have absorbed everything we put out. So this is a good opportunity to clarify our current plans for the project. This is our first year and we are experimenting with lots of cooks making many different dishes. These meals mostly will be served only to small groups and will not be shared generally – instead of everyone contributing to a single pot of soup. So we might think of this as the let-a-thousand-chefs-cook phase in a “Stone Soups” project. After this experimental stage, we can decide if we want to promote a smaller and more standard set of recipes – and whether it would make sense to create a collective pot of soup (aka a “database”). Here’s a summary of our goals and principles in the current stage of the project. ● We take advantage of ready opportunities to gather information including, but not limited to, course assignments for students to conduct interviews. Rather than leaving unrecognized knowledge “on the table,” we can systematically collect it and feed it back to students and practitioners. For example, faculty give students assignments in every course and it is easy to assign students to learn about actual cases in various ways such as conducting interviews or observing parts of cases. Faculty invite guest speakers using a “focus group class” format. Student competitions use practitioners and academics to evaluate students’ performances. Faculty give talks to practitioners in continuing education programs. In each of these activities, there are easy ways to capture and share knowledge about practice. ● We give more priority to teaching than research in this experimental year. To get faculty comfortable with Stone Soup activities, the focus is on modest activities, especially ones that may not require approval of research ethics committees (like institutional review boards) and that would not necessarily be suitable for broad publication. So the knowledge developed would be shared primarily with classes, students and judges in competitions, and participants in continuing education programs. ● We particularly encourage getting qualitative data about cases to provide rich, realistic portraits of processes, interactions, and evolution of cases. Of course, quantitative data is particularly useful for developing population estimates and testing theories. Qualitative data is particularly helpful in developing new understandings. Ideally, research should combine both qualitative and quantitative methods as appropriate. ● We contribute to the trend of increasing practical training in legal education. Students who conduct interviews practice effective questioning, documenting interviews, and assessing the veracity of the information received, which all are critical skills for lawyers. Students develop rapport with their subjects, elicit sensitive information, and protect confidentiality. Students conducting interviews or observing cases write them up in powerful narratives and analyses. They learn to consider possible alternative explanations, noting possible other perspectives, limitations of subjects’ memory, people’s desire to present themselves favorably, etc. These are important skills for lawyers in virtually every area of practice. We developed a practical guide to teach students good interviewing skills. ● We encourage faculty to experiment with different assignments and activities – and share their experiences using a form on the website so that people can improve our pedagogical techniques. This is an important element of the Stone Soup Project. ● We want to promote new scholarship. Academics may decide to use students’ assignments as data for publication. Even if they do not use students’ assignments and class activities as data, this project may generate ideas and insights that academics can use in their scholarship. In addition, academics may be inspired to interview practitioners or conduct other empirical research themselves, possibly collaborating with colleagues in other disciplines and parts of the world. ● We want to promote collaboration between academics and practitioners. Practitioners are both sources and recipients of knowledge in the project. For more information, including materials and guidance for participating in the project, see the Stone Soup website, especially the vision for the project. How well we achieve our goals will depend on the level of motivation, creativity, and collaboration within our community. In this first year of the project, we expect to engage at least 800 students in 48 classes covering 17 subjects, taught by 29 faculty from 24 schools in 3 countries. At the WIP conference, Andrea Schneider RAVED about how well it worked in her class. ● How might faculty use Stone Soup course assignments and activities to advance their teaching and research goals? ● What would inhibit them from taking advantage of the project? ● What can we do to make it easier and more desirable to participate in the project?